Chatbots in Messenger have completed one year in existence and with more than 100,000 bots on the platform, this year’s F8 had high hopes on it for announcements to take bots to the next level and it didn’t disappoint. Here is a summary of all the major announcements by Facebook around Messenger and chatbots. Bot discovery has been a long-standing issue with Messenger bots. This has led to a plethora of third-party chatbot discovery platforms like Botlist, Bot Arena, Bot Pages and the likes. 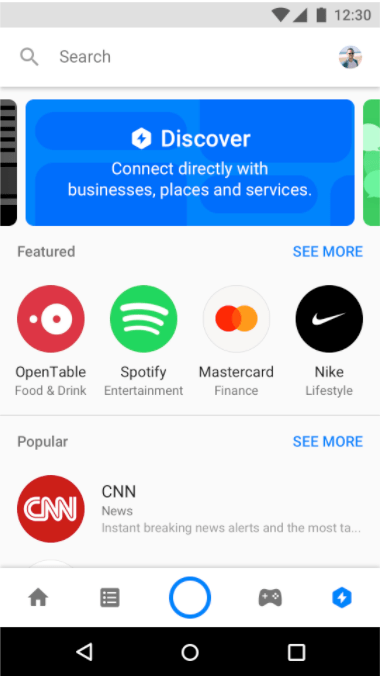 Finally, the concerns have been answered with the launch of the Discover tab in Messenger which will serve as the app store for Messenger bots. Browse Featured and Popular bots as well as browse via categories. Facebook has also laid out some guidelines on what would make a bot rank higher and get more visibility which is not too difficult to guess – Lesser Block or report rates, high responsiveness, using the platform’s features effectively. It will be a while before we see it in action, but Page admins can fill up the details for listing on the Discover tab. Also, has support for entries in multiple languages if the bot supports those languages. All information entered has to go through a review process before them being visible. This was another important announcement on the Messenger side at F8. Essentially, these will be extensions of chatbots in personal and group chats as well and will be responsible for performing a particular action. They will not get the access to the messages in the conversation but will get the user ids of the people in the conversation. Also, it could request for additional permissions from the participants. It will also be able to share content back to the original conversation. The example shown on F8 was that of a Task list where each member updated the list and shared it back with the participating members. Facebook has given some examples of the use cases where it will be helpful, but it will be interesting to see the kind of experiences businesses and developers build using these chat extensions. This would be without a doubt one of the most useful features to be launched. To give a background, the IDs for a user who comes in via Messenger is page-scoped and is different from the id which the same person would get when he logs in using Facebook Login (app-scoped id). There was no way to match these two ids which point to the same profile/person. Now, APIs have been provided to link and associate these ids. Would be helpful in providing a seamless experience while interacting with the bot. Messenger links to open up bot conversations have received a power boost. Now, you can have parameterised links using which you can track and attribute multiple discovery options. Also, you can utilise these codes to launch different functionalities in the chatbot. This is almost like deep links in apps. Would be very helpful for chatbots supporting multiple use-cases. 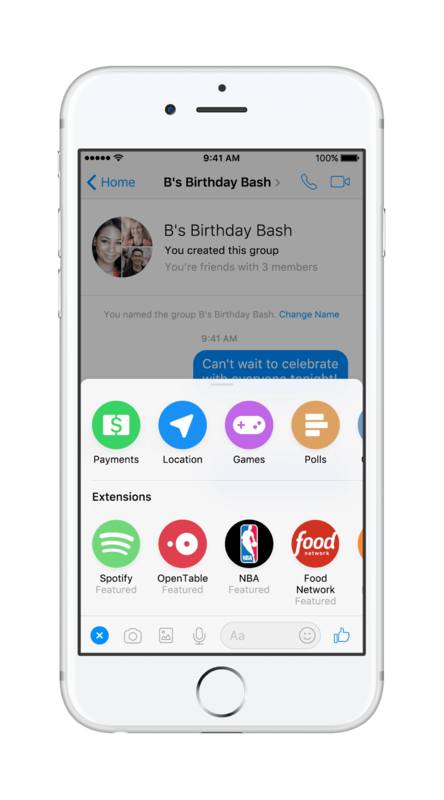 Messenger is now providing a way for businesses to work with multiple developers for building different experiences on Messenger. With this protocol in place, it will be easier for developers to co-ordinate amongst themselves to control the conversation flow. This is not yet open to public and is only limited to restricted business. Facebook is launching Smart Replies for Pages API to respond to the most frequently asked questions, like business hours or directions to your business. This will directly fetch the information from the Facebook page and respond to the user via Message. Would be very helpful for small businesses who would not be able to create a full-fledged chatbot. This was an action-packed F8 especially for Messenger and bots. The platform seems to be maturing in providing relevant tools for businesses to utilise Messenger as a platform. We are hard at work incorporating these changes in our platform for all of you to try it out. Hear from us soon! You can know more by scheduling a FREE demo! $1.35 billion by 2025 - What Is The Global Chatbot Market Prediction Telling Us?